The Brisbane South PHN region is home to a relatively large proportion of people from culturally and linguistically diverse (CALD) backgrounds and is the area of highest refugee settlement within the state. Nearly a third (30%) of Queensland’s population of people born overseas live in our region. The Brisbane South PHN Multicultural Health Program aims to improve the health outcomes and experiences of people of CALD backgrounds by collaborating with partners to ensure that primary health care is accessible, culturally appropriate and inclusive. Our objectives include building capacity in primary care, improving health literacy for CALD communities and sector capacity building and integration. This page is for health care professionals and service providers. It outlines some of our key initiatives and resources that can support you in providing care to people of CALD backgrounds. Refugee Health Connect (RHC) is a partnership between Brisbane South PHN, Brisbane North PHN, Mater Health Services, and Metro South Hospital and Health Service aimed to support primary care in working with people of refugee backgrounds. RHC builds the skills and capabilities of primary care to manage the care of refugee families in a culturally and clinically appropriate manner. resource folders for clinical and administration staff. If you would like to become a ‘refugee ready’ practice, contact RHC on 07 3864 7580. Refugee Health Connect is also one point of contact for all aspects of refugee health. RHC can assist you with navigating the refugee health space and linking people from refugee backgrounds to appropriate providers in order to improve health access and engagement. Linkages are made based on factors such as the patient’s location, complexity of needs and cultural requirements. ensure interpreter services are available to private allied health services to communicate with non-English speaking clients. 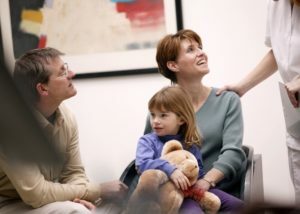 The program is available within the Brisbane South PHN region through a capped funding stream, and will be delivered by Translating and Interpreting Services (TIS) National at no cost to the allied health service. The program includes access to immediate and pre-booked phone interpreting and onsite interpreting. In return, allied health services must agree to complete cross-cultural use of interpreter training and participate in a program evaluation survey. This program is available to a limited number of allied health disciplines including: diabetes educators, dietitians, physiotherapists, psychologists, exercise physiologists, podiatrists, dentists, optometrists, speech pathologists, audiologists, mental health nurses, social workers and occupational therapists. We have developed a directory of multilingual allied health professionals (AHPs) to better support healthcare needs in our culturally and linguistically diverse (CALD) communities. This resource is available for anyone seeking an AHP who may be able to provide a service in a language other than English. To access or register for our multilingual AHP directory, please see the following resources. Australian Refugee Health Practice Guide -a resource to support doctors, nurses and other primary care providers to deliver comprehensive, evidence informed health care for people from refugee backgrounds including people seeking asylum. The Guide draws on the Recommendations for comprehensive post-arrival health assessment for people from refugee-like backgrounds (Australasian Society for Infectious Diseases & Refugee Health Network of Australia, 2016) and good practice approaches from practitioners working with people from refugee backgrounds. It contains links to resources and state referral information that has been compiled by local services.